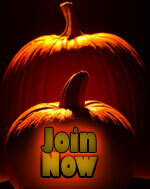 Welcome to the Librarian’s page on the Horror Writers Association (HWA) website! We hope you will find everything you need in terms of tools, recommended reading lists, and information about our authors. At any time, please feel free to contact us at HWA@horror.org. One of the HWA’s missions is to encourage public interest in and foster an appreciation of reading in general, and horror and dark fantasy literature for adults, teens, and children in particular. To that end, our members take part in public readings and lectures whenever possible, we publish a newsletter for booksellers and librarians, and we are now providing libraries with links to recommended and new works by our members (see below). Many of these books are by award-winning authors. We are particularly involved in promoting authors who are receiving break-through status with readers, as well as local authors for local communities. Horror and dark fantasy are two of the most rapidly-growing genres in fiction today – even if not all publishers market their books as such – and it has become especially popular with the young adult (YA) reading market. To that end, it is essential that we do all we can to promote more books to this audience, in the hopes of producing another generation of readers. We are looking to work closely with libraries to achieve this, especially now that many libraries are offering e-books to borrow, thereby opening another pathway to reading that is becoming increasingly popular. THE HORROR WRITERS ASSOCIATION (HWA) is a nonprofit organization of writers and publishing professionals around the world, dedicated to promoting dark literature. HWA was formed in the mid 1980’s with the help of many of the field’s greats, including Dean Koontz, Robert McCammon, and Joe Lansdale. Today, with over 750 members around the globe, it is the oldest and most respected professional organization for the much-loved writers who have brought you the most enjoyable sleepless nights of your life. The Bram Stoker Awards® — Various links, including eligibility. If you are interested in having our members visit your Library for a reading, signing or educational function, please email hwa@horror.org. Some of our better known members are regularly on tour and, while we cannot guarantee they can visit individual locations, we can certainly pass on your request and interest. We can also put you in touch with ‘mid-list’ authors, authors breaking through in sales and readership, and of course horror authors from your local community (or hopefully nearby). So, don’t hesitate, just ask! Librarians may join the Association (there are a range of other benefits), in our Associate class. Please check out this page for more information: http://horror.org/about/ . We will make you welcome! That’s a difficult question. In recent years the very term has become misleading. If you tell people you write horror fiction, the image that immediately pops into their minds is one of Freddy Krueger or maybe Michael Myers, while you were hoping for Shelley’s Frankenstein or Stevenson’s Dr. Jekyll and Mr. Hyde. The popularity of the modern horror film, with its endless scenes of blood and gore, has eclipsed the reality of horror fiction. When you add to that a comprehension of how horror evolved as both a marketing category and a publishing niche during the late eighties — horror’s boom time — it’s easy to understand why answering the question of what today’s horror fiction actually is has become so difficult. Horror overlaps and includes not only blood and gore, but psychological horror, suspense, mysteries, science fiction, fantasy, supernatural terror, and so much more. It encompasses not only the written word and movies but also cartoons, anime, and comics. Graphic novels with a horror theme are all the rage with teens and adults, but it’s hardly a new fad. Remember Tales from the Crypt and Creepy from so many decades ago? Today’s graphic novels are just the descendants from those lovable old comics. And it’s hard to argue that movies like Alien are not horror, just like it would be hard to say the Harry Potter novels, which are labeled fantasy, don’t contain some truly horrific passages. Horror appeals to almost everyone, whether they realize it or not. From the fables of Grimm to the classic poems of Poe, from the ghost stories of Bierce to the popular novels of King, nearly anyone you ask has a favorite scary book, story, or movie, even if they’re not a fan of the genre. Webster’s Collegiate Dictionary defines horror as “a painful and intense fear, dread, or dismay.” If we accept this definition, then horror can be almost anything. It doesn’t have to be ghosts, ghouls, or things that go bump in the night. It simply needs to elicit fear or dread in the reader. By this definition, the best selling book of all time, the Bible, could easily be labeled horror, for where else can you find fallen angels, demonic possessions, and an apocalypse absolutely terrifying in its majesty all in one volume? In his 1982 anthology Prime Evil, author Douglas Winter stated, “Horror is not a genre, like the mystery or science fiction or the western. It is not a kind of fiction, meant to be confined to the ghetto of a special shelf in libraries or bookstores. Horror is an emotion.” He was correct and his words have become a rallying cry for the modern horror writer. What makes horror literature so pervasive is that its need to evoke the necessary atmosphere and sense of emotional dread is utterly dependent on who we are as readers — as people. As children, we might be afraid of the shadows looming from a half-closed closet door or of the monster we believe lies under the bed. Terrors of the imagination run wild at that age. As adults, our fears become more sophisticated, more grounded in worldly events. They become the death of a loved one, the terminal illness of a small child, the fear of our lives running out of our control. Horror, by nature, is a personal touch — an intrusion into our comfort levels. It speaks of the human condition and forcibly reminds us of how little we actually know and understand. Walk into any high school in the country and you will discover that horror fiction has a rightful place in our educational system. Whether it is the short stories of Edgar Allan Poe or the classics like Dracula or The Picture of Dorian Gray, many of the defining works of literature can be labeled as horror. Walk into any public library and you will see shelf after shelf of horror and dark fiction, for both adults and children. Many of these readers don’t even realize they’re reading horror, because it’s not labeled as such, or because it’s not a name the reader associates with horror, like King or Koontz or Barker. Recent entries onto the New York Times bestseller lists have included two separate novels about nanotechnology run amuck, the story of a brutally murdered young girl watching her family’s life unfold in the aftermath of her demise, the latest in a long series about the end of the world and the coming of the antichrist, and, of course, the latest paperback collection from Stephen King. Not surprisingly, none of these books bear the horror label, yet every one of them fit our definition of a horror novel. Just as our fears and terrors change with time, so too will the definition of horror, not just from age to age but from person to person. Each year, the Horror Writers Association presents the iconic Bram Stoker Awards® for Superior Achievement, named in honor of Bram Stoker, author of the seminal horror work, Dracula. The Awards were instituted immediately after the organization’s formal incorporation in 1987. Winners over the years include Stephen King, Peter Straub, George R R Martin, and Joyce Carole Oates. To ameliorate the competitive nature of any award system, the Bram Stoker Awards® are given “for superior achievement,” not for “best of the year,” and the rules are deliberately designed to make ties possible. For libraries, our recommended reading list includes the finalists and winners for each year’s Bram Stoker Awards®, plus the current list of recommendations. There is also a link to our new releases page.